Cardi B may have started her career as the regular degular shmegular girl from the Bronx, but the rapper has now turned into a household name - with bank accounts to prove it. Born Belcalis Almanzar, Cardi B came on to the mainstream scene when her hit single "Bodak Yellow" hit the top of the charts back in 2017, but her journey to making money moves started years before that. The Grammy-nominated artist started dancing at 18, and while she admits her first time was embarrassing, the checks helped her get over that feeling quickly. "After a while I didn't even care anymore," she told the magazine. "I was seeing money that I feel like I would've never seen ever. At first I started off making $200 or $300, sometimes not making money at all because you've gotta pay your house fee and my house fees were very expensive. But after I got good at it there was nights where I would leave with $2,000 or $3,000. When I was 21 I had $20,000 saved up. When I was 22 I already had $35,000 saved - in singles." According to her bio, candidly talking about her life as a stripper on social media grew the "Money" singer's following and fame, and eventually led to a spot on VH1's Love & Hip Hop: New York. 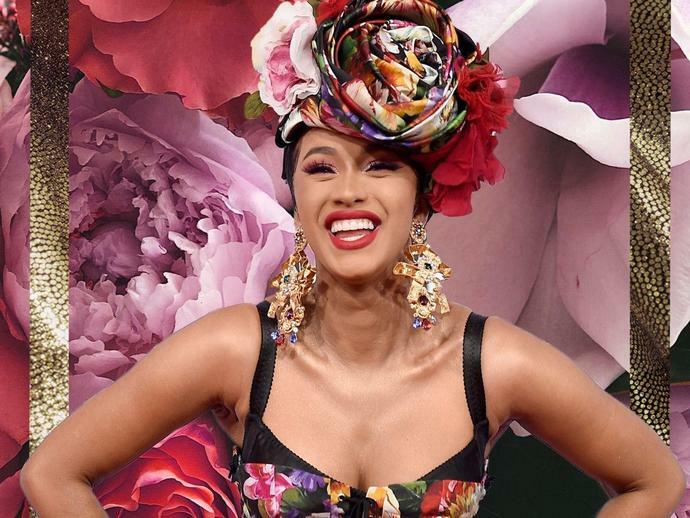 InTouch Weekly reports the cast members make pretty good money for appearing on the show, which Cardi B was on from 2015 and 2017. Cast members from the Atlanta franchise reportedly make anywhere between $17,000 per season to $400,000. It's very possible Cardi was making something toward the upper end of this range, as Celebrity Net Worth reports her net worth was $400,000 in 2016. It was then bumped up to $1.5 million in February 2017 after "Bodak Yellow," and rose again to $4 million in September 2017 after signing a reported multi-million-dollar recording deal with Atlantic Records. The artist told Fader at the time, "They gave the right number, so I chose them. It was significantly more than other [deals]. I heard a lot of good things and they was really eager to work with me so I was just like, if they want to give this money then it's because they're really gonna work hard for me." At the time, Cardi B only had two mixtapes and her hit single out, but today, her repertoire includes a full album, Invasion of Privacy, and several other singles and features. While she hasn't headlined her own tour yet, she does perform at big festivals. Ahead of last year's Coachella, Cardi told SiriusXM's Hip-Hop Nation that she would be talking home $70,000 each performance of the two-weekend festival. Admittedly, she said her set would cost her $300,000, but the loss doesn't seem to have set her back at all. Just later that summer, Cardi B posted her and her husband Offset's matching Lamborghinis to Instagram. While many people thought they leased them, she pulled out the literal receipts and posted a photo of her bank statement proving she had taken out $548,736.97 in cold hard cash to pay for the new whip. "Do you know that artists, celebrities - the IRS, out of every check that you make, they automatically take 45%," she said. "That means in order to spend $500,000, you gotta make at least a million." While she admitted that some of her expenses include looking good for her fans and an extravagant splurge here and there, she also supports her family. "Artists like me and a lot of rappers that I know, they literally take care of their whole family," she said. "And that's not tax deductible because the IRS don't consider that a business." Based on Cardi B's math, this means the artist is probably making close to $1 million a month. In addition to her music, endorsements from Fashion Nova - which reportedly brings in $20,000 a month for Cardi B - and commercials for Pepsi and Amazon's Alexa contribute to her earnings.